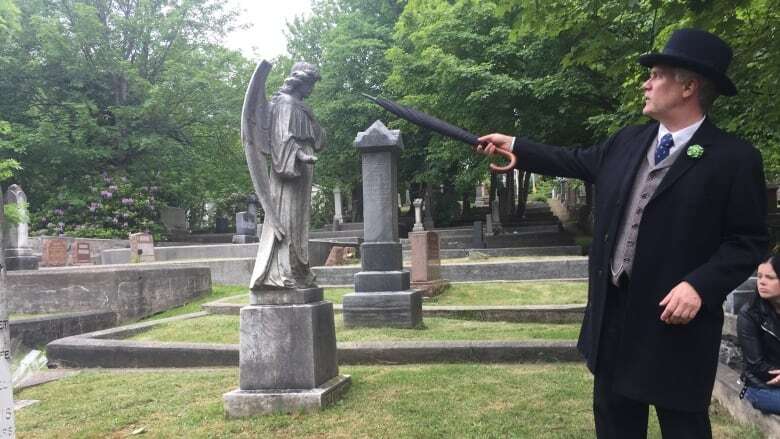 With his new cemetery tour, folklorist and storyteller Dale Jarvis reveals city history, one grave at a time. Where in St. John's can you learn about Greco-Roman memorial traditions, Victorian symbolism and the urban development of one of the oldest European settlements in North America? At the cemetery — specifically, the General Protestant Cemetery on old Topsail Road, where Dale Jarvis is offering tours this summer. The tours bring together three of his loves: cemeteries, storytelling and the past. "I feel that cemeteries are really open-air museums," Jarvis said. Walking through the cemetery offers a lesson in decades of St. John's history through the stories of the people buried there. 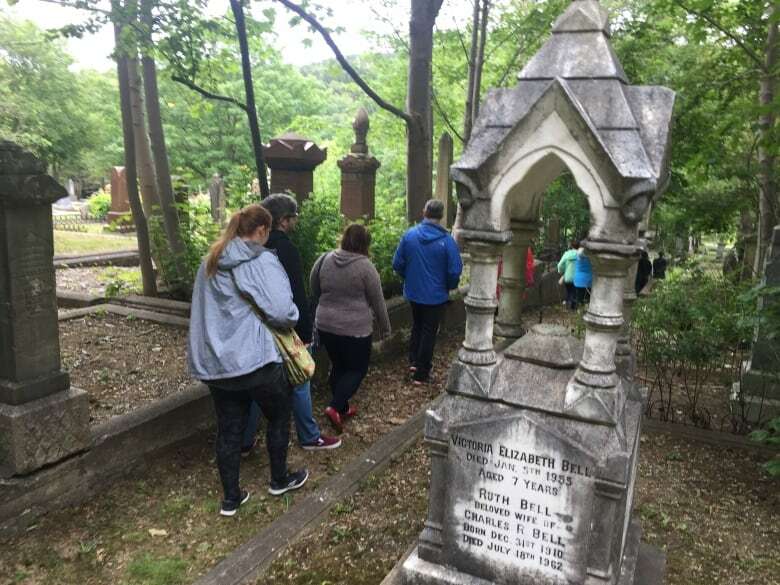 Jarvis's tour focuses on the graveyard's busiest century, from 1842 to 1942, and covers many dark times in the city's history: outbreaks of disease, destructive fires, world wars. 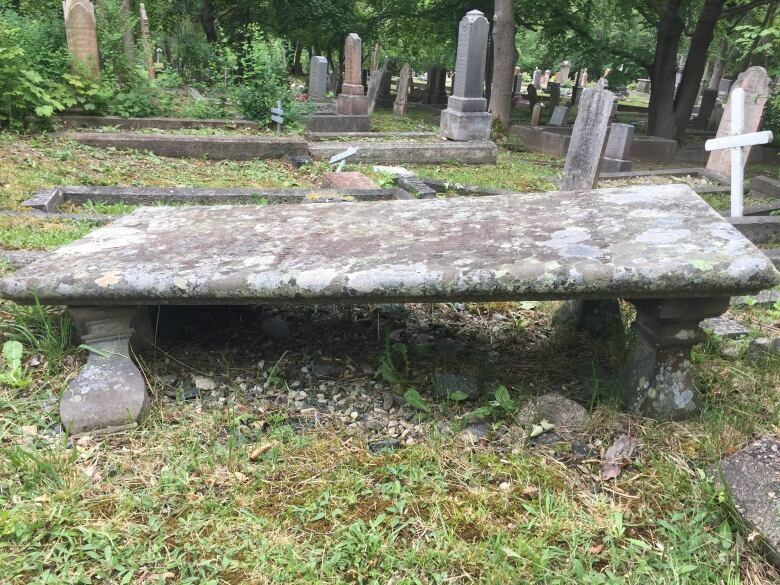 Even the cemetery itself marked a shift in the way people in St. John's dealt with burying their dead, Jarvis said, when cemeteries began to move away from churches. 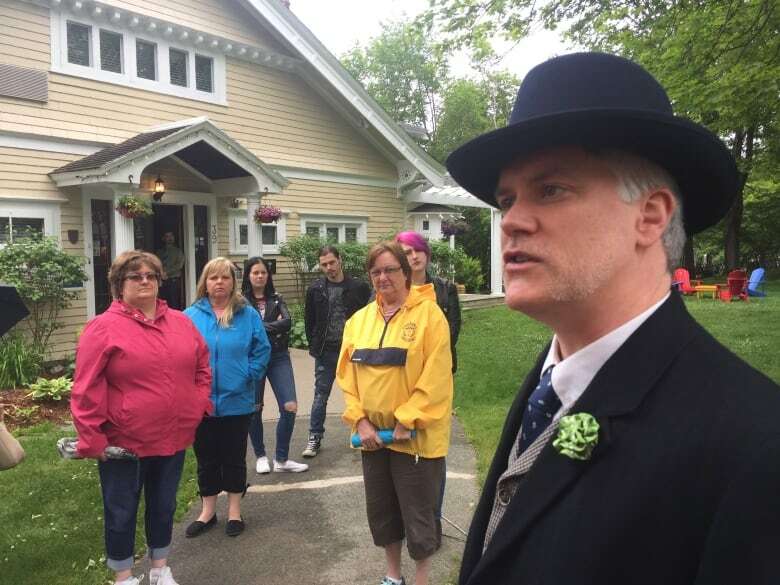 "In the 1840s there was a shift to move things far out into the country," he said on a recent Tombstones and Tea tour, which was followed by tea and funeral biscuits at Leaside Manor. "That was part of a movement that was happening all across North America." That is just one of the bits of historical knowledge those who take the tour, which has three soldout dates set for this summer, will leave with. Jarvis, the Heritage Foundation of Newfoundland and Labrador's intangible cultural heritage development officer, is a well-known historian and storyteller. He runs the St. John's Haunted Hike, with ghost tours covering Signal Hill and the city's historic downtown streets, and has written several books, including the recent release Haunted Shores. 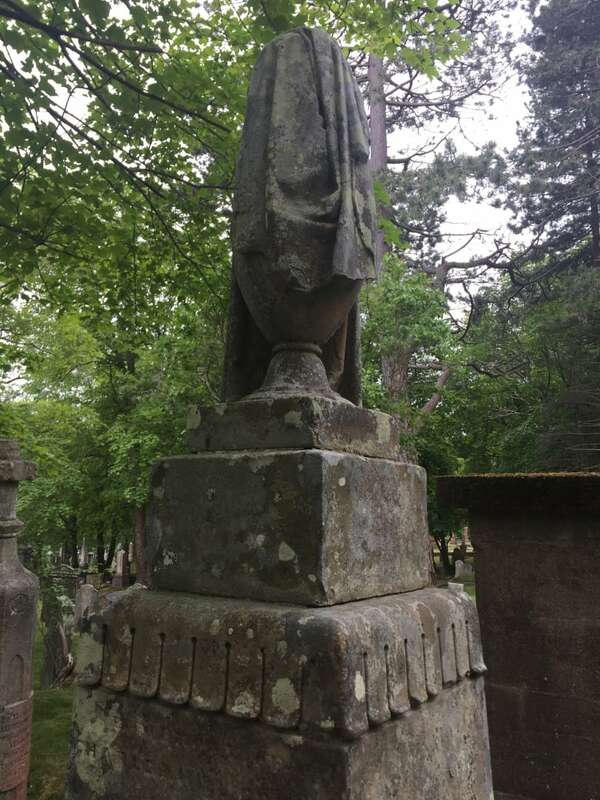 His tales often fall on the spookier end of the spectrum, covering ghosts and folklore, but the cemetery tours are more about the lives of the people buried there than the afterlife. That doesn't mean all the stories are pleasant ones of lives well lived and peaceful deaths. "If you're of delicate constitution, queasy of heart, tender of stomach, this might not be the story for you," Jarvis warned as he began the story of James Eales, who was working as a boilermaker for the Reid Newfoundland Company in March 1912. Eales came to his end at the age of 42 when he was inside a rotary plow on the front of one of the company's locomotives, Jarvis said, repairing it after it had been damaged by heavy snow. Unfortunately for Eales, the engineer he was working with that day was "already roaring drunk" despite it only being just after noon. The blades of the plow somehow began to rotate while the boilermaker was still inside the plow, killing him instantly. "'It fell to a reverend by the name of Rev. Uphill to bear the sad news to Mr. Eales's young widow, who was at home at the moment with five children," Jarvis said at the man's graveside during the tour. "She was calm for a while until the body — or the pieces of the body — of her husband were carried into her house later that afternoon." Many of the graves reveal the tough times many St. John's residents lived through in the 1800s and early 1900s. There is a large children's section in the cemetery, for example, with hundreds buried there over the years. 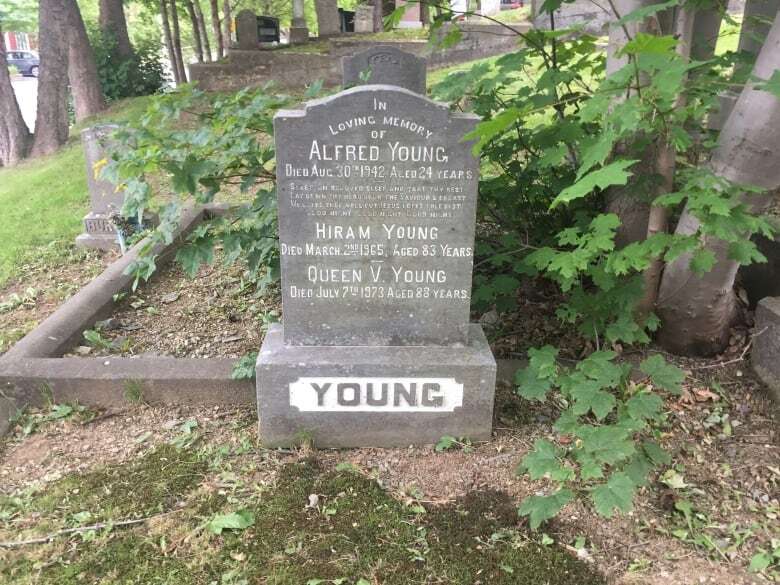 Queen Victoria Young, born Queen Victoria Ross and named in honour of the monarch, was touched by the Great Fire of 1892, which destroyed most of the city and left 11,000 people homeless. "The Ross family had a farm up just north of Quidi Vidi Lake, and Queen Victoria as a young woman had memories of her mother and father serving food to the victims of the Great Fire of 1892," Jarvis said. "There was a tent city built up at Pleasantville, and the Ross farm were the ones that provided food." Another grave visited during the tour belongs to Patrick Tasker, a Scottish immigrant who was involved in community life and instrumental in setting up both freemasonry and a public health board in St. John's. Tasker left Scotland in 1842, arriving in Newfoundland at a time when public health concerns were growing thanks to outbreaks of diseases like typhoid and cholera in other places. He played a part in setting up the city's sewer system and enforcing the city's new health regulations with health wardens. "In spite of their best efforts, typhoid did come," Jarvis said. The Irish potato famine sent "coffin ships full of typhus" across the Atlantic, he said, some of which stopped in St. John's Harbour. "Most of the Irish settlers didn't stay in Newfoundland. 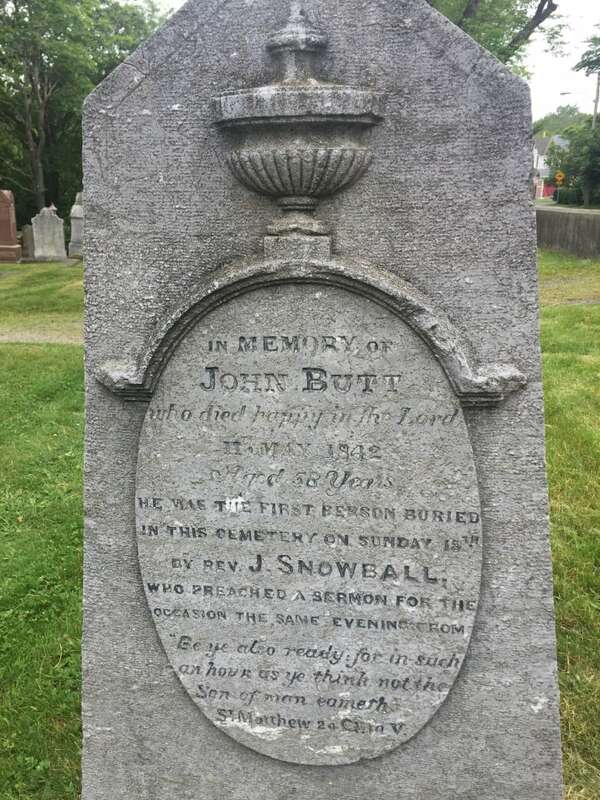 However, they did stay in St. John's Harbour long enough for some of [the ships'] rats and mice to come on shore, and there was a terrible outbreak of typhus here in St. John's in 1847." Other diseases of the time, including cholera and diphtheria, also killed many residents of the city — but Tasker's public-health efforts were credited for reducing the loss of life. Amidst the individual stories that come along with every grave in the cemetery other bits of cultural and historical knowledge is shared. The tabletop stones at some graves date from Greco-Roman times, for example, when they were literally used as tables for memorial feasts. Victorian iconography like urns and flowers show up on some of the headstones from the time. Jarvis hopes attendees finish the tour having gleaned some new knowledge about the city, and a particular time in its history. "I want people to leave thinking, 'I didn't know that about St. John's history,'" he said. "I love that when I learn a new, interesting story. That's the fun part about digging into history."